Samuel Blair Mertes (August 6, 1872 – March 12, 1945) was a professional baseball player. 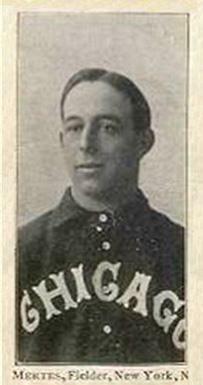 He was an outfielder over parts of 10 seasons (1896–1906) with the Philadelphia Phillies, Chicago Orphans, Chicago White Sox, New York Giants, and St. Louis Cardinals. He led the National League in RBIs in 1903 while playing for New York. He was born in San Francisco, California, and died in Villa Grande, California, at the age of 72.